Join the members of the London tech & startup scene, including Accelerators (Techstars, 500 startups, Seedcamp, Mass Challenge), Coworking spaces (Wework, Rainmaking Loft, Tech Hub) and people from all across the startup community (Gocardless, Skimlinks, Moo, Stripe, Tesla, Bebo, Spotify, General Assembly, 3beards)... the list goes on!! La communautés des communautés de Montpellier, on parle dev, meetup et plein d'autres choses ! a Slack group for front end dev in London. Berlin Techs is a place for techies who live and work in the Berlin area to share, talk, organize and get to know each other. Web-Dev/Design community in Hamburg, Germany. js and web folks in Zurich. The way for Amsterdam's tech people to connect. The NI Tech & Design slack community is a gathering of software developers and designers based in, or with connections, to Northern Ireland, UK. Are you a German speaking iOS developer? Join our new awesome community. The #techbelgium community grew out of a collective desire to facilitate communication between the tech communities in Belgium. This is a Slack community of tech-minded people where we can all talk, share experiences and ask and/or answer questions. Chat for the PHP community in Scotland. People are also meeting physically once a month in Aberdeen, Dundee, Edinburgh and Glasgow. A techy group of people from Ljubljana and wider Slovenia. 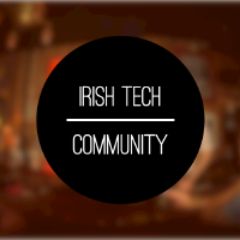 A community for existing & aspiring tech entrepreneurs as well as supporting businesses and organisations. AngularJS & Beers. Non-profit event to socialise with AngularJS people. Express your motivations, share your ideas and play together creating awesome things in team. 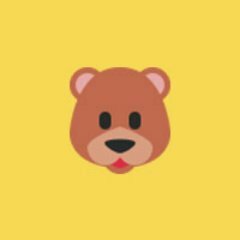 Die Slack Community netz.design bietet Webdesignern die Möglichkeit, Kritik, Ideen, neue Technologien und Problemlösungen auszutauschen. Wie eine riesige Werbeagentur. Yorkshire Digital community, a community for people in Leeds, Bradford, Wakefield, York, Sheffield, Barnsley, Huddersfield, Hull, Harrogate, in fact anywhere in Yorkshire! User group for Ruby developers from Slovenia Join us if you like Ruby and related technologies! WorthingDigital is a community of locals from various backgrounds with a common interest in all things, digital, media and online. A Slack community of thinkers, makers, and doers living in or passing through Athens. Share ideas and gigs, get support from fellow freelancers in your city and collaborate on projects. Casual ultimate frisbee pickup in Amsterdam, The Netherlands. Community of front and back end developers based and working in and around Scotland. EdTechClubFalmouth is a Slack group aimed at facilitating a community of practice in technology to support learning and teaching at Falmouth University. Community for like-minded Romanian remote workers. Un grup de Slack format per catalans on es debat sobre tecnologia, startups, emprenedoria, disseny, desenvolupament, apps, màrqueting, esdeveniments, talent, feina i molt més! Slack catalan tech community to discuss about technology, startups, entepreneurship, design, development, marketing, events, talent, founding, gaming, jobs and more! Dear Paris starturper, welcome to France Startup Slack Group. We see it and want it to be an online community where you e-talk about what local french startups daily life is. This is a place where you can pursue or share that talk you heard or that conversation you started during the last meet-up you went to. It is also the place where you can start conversations and talks and get valuable inputs from other starturpers. Free chat-group, cross connecting people in the Madrid startup ecosystem. Danish developer and design community. Русскоязычное сообщество для профессионалов творческой индустрии — вся соль дизайна, технологий, медиа и стартапов Стимулом к созданию сообщества явилась традиция к объединению специалистов из всех сфер для активного взаимодействия, обмена опытом и знаниями. Мы связаны общей культурой и не ограничены географическими, религиозными или политическими рамками. We're a group of friendly folks in the Irish Tech Community. We are always interested in new members joining. There are no requirements, other than being a real person, and ideally, interested in tech. We have many channels devoted to multiple subjects, from design and development of tech, to conferences and diversity. We are building a sustainable, diverse community of people who are interested in growing their skills, experience, community and industry. Join 3000 startup people in the largest Slack group of Berlin. We see it and want it to be an online community where you e-talk about what glocal Berlin startups daily life is.This is a place where you can pursue or share that talk you heard or that conversation you started during the last meet-up you went to. It is also the place where you can start conversations and talks and get valuable inputs from other starturpers.